Rasiklal M. Dhariwal Sinhgad Technical Institutes Campus, Warje - Pune. Sahyadri Valley College of Engineering & Technology, Rajuri, Pune. Sai Institute of Engineering & Technology, Bilda, Aurangabad. Samarth Education Trust's Arvind Gavali College Of Engineering, Panwalewadi, Satara. Shree Ramchandra College of Engineering, Lonekand. Shree Saibaba Institute of Engineering, Research & Allied Sciences, Rahta. Suman Ramesh Tulsiani Technical Campus: Faculty of Engineering, Pune. Subhash Kool College of Engineering, Kedgaon Daund. AVEWT's Shatabdi Institute of Engineering & Research. B.R. Harne College of Engineering & Technology, Karav, Ambernath. Geetai Charitable Trust's Khurana Sawant Inst of Engg & Tech- Hingoli. 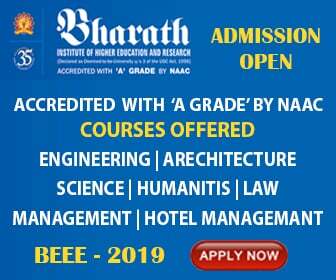 Bhagwant Institute of Technology, Barshi. JSPM narhe Technical Campus - Pune. Mauli Group of Institutions, College of Engineering and Technology - Shegaon. Metropolitan Institute of Technology & Management, Sukhalwad - Sindhudurg. Phaltan Eeducation Society's College of Engineering Thakurki - Satara. Pravara Rural Col of Engg. loni, Pravaranagar- Ahmednagar.